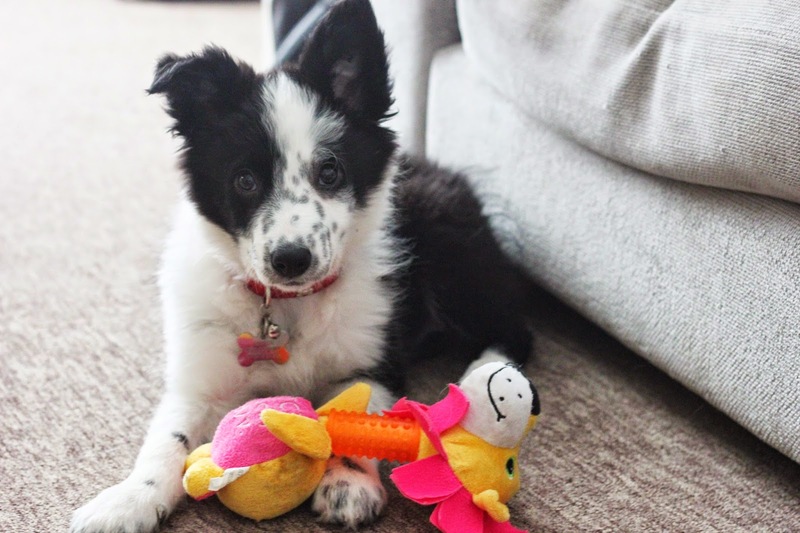 Juniper- My Border Collie puppy 17 weeks! 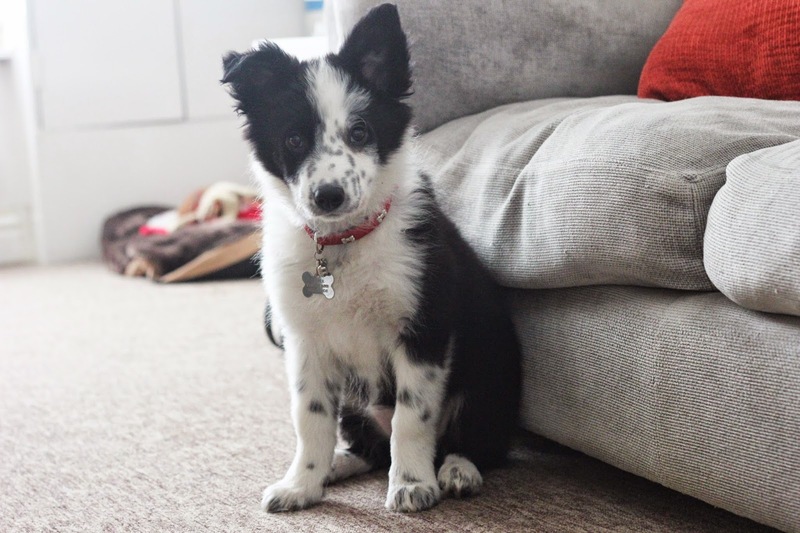 Juniper our border collie puppy has grown so much since my last blog post, she has doubled her weight in just two weeks. She has now been to the vet twice and has had her second lot of injections. We are so excited for her to join us on walks and walks with our friends dogs too. The red collar she has on is her first collar, we are training her to walk on the lead at the moment. Bella is so good on the lead we wanted to start as soon as possible. 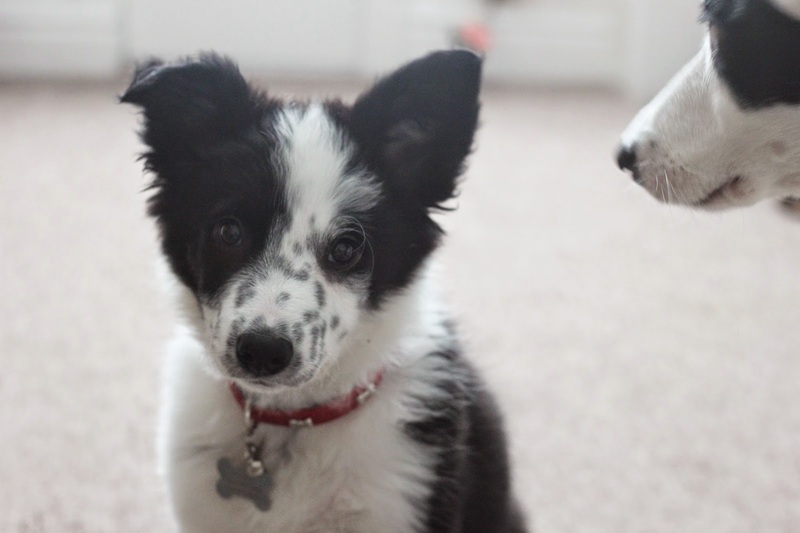 Her nose has grown which has changed the shape of her face and she has huge paws, we think she may be a big collie. Her fur is so soft and is growing by the day, so gorgeous. 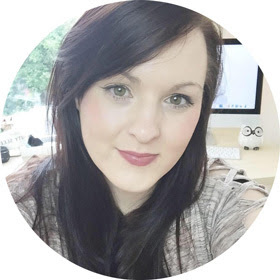 We are well and truly smitten with her and we could not see ourselves without her. I have just started a new job and I am excited to spoil her. She has started to run for toys and half way bring them back which is cute, she watches what Bella does. 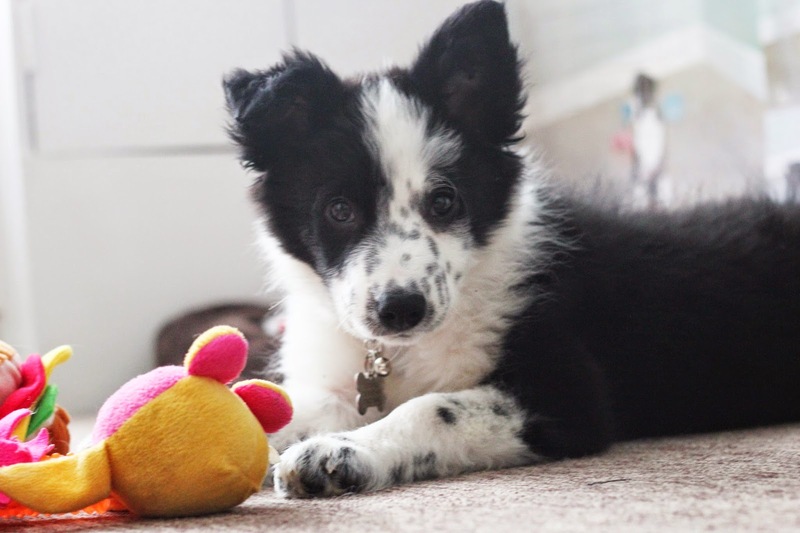 Her ears have started to point up, well one of them is still half way. I love watching them play and bond, its the most adorable thing in the world. coming home to them after a long day is the best, she has completed our family. Nothing makes me more happy then my little family, I am so excited to train her and bring her along to dog shows for fun. Me and Bella have won 2 rosettes for fun competitions so I want to join Juno in this. I love everything about our new baby, she has completed our family. she has the best personality, she is so friendly and enjoys playing with other dogs. She is the boss when she sees my moms dogs, even though they are so much bigger than her. I love her markings they are so special, I just know when shes older shes going to be extra pretty. Look at those paws, they are huge. Bella loves her sister and I know they are going to be life long best friends. At night they share a bed and cuddle each other to sleep, it makes my heart melt. If you would like to see more of my dogs let me know, I love to document life on here too. Aw Juniper is so sweet and she looks so cuddly! She is a beauty and I can't wait to see her grow up! She is a beauty! 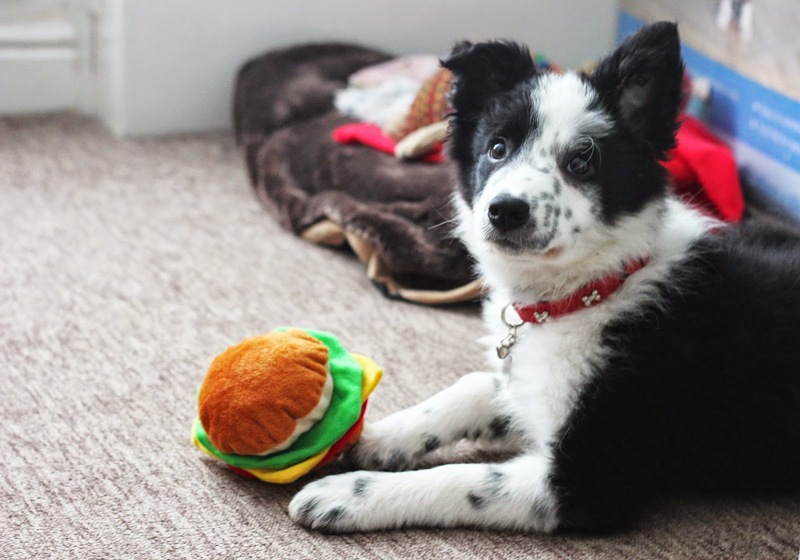 I'd love a border collie one day :) Definitely keep posting about her, she's adorable!